Celebrating the life of Charles Wright, Jr.
Obituary for Charles Wright, Jr.
Charles Wright, Jr., 90, of Coatesville and Downingtown died Saturday, October 6, 2018 at Premier at Susquehanna Village, Millersburg. Born in Coatesville, he was the son of the late Charles and Florence Keyton Wright, Sr and the husband of the late Stella Demetry Wright and Virigina Gillespie of Tower City. Charles was a 1945 graduate of S. Horace Scott High School, where he was a member of the swim team and a 1959 graduate of Drexel University as a Metallurgical Engineer. He was a life member of Olivet United Methodist Church, where he was a Sunday School teacher. He retired from Lukens Steel Co. after 35 years of service in the Research Dept. Charles was a naturalist who enjoyed spending time with his family and taught them his love of fishing and gardening. He was a Scout Master for the Boy Scouts for many years and a member of the Ingelside Bowling League, a member of Washington Fire Co. and the Coatesville Sports Car Club. 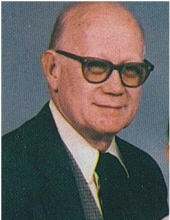 In addition to his wife, Virginia, Charles is survived by his daughter, Ann Marie Creigh and her husband Richard of Marysville; 6 grandchildren: Charles Creigh (Kim), Rebecca Phillips (Jeremiah), Matthew Creigh (Catherine), Christina Wright (Robbie), Kelly Bartlett-Wright (Joshua), and Melinda Wright; 5 Great-grandchildren: Landon, Malachi, Noah, Nathaniel and Owen Creigh. In addition to his parents and his wife, Stella Charles was predeceased by his sons, Charles Wright III Michael R. Wright and Arthur K. Wright; sister, Florence Butler, and brothers Marian and Arthur K. Wright. Charles’ funeral services will be held Saturday, October 13, 2018 at 2pm at Wentz Funeral Home 342 East Chestnut Street, Coatesville 610-384-0318 with visitation beginning at 1pm. Memorials in Charles’s honor may be made to Olivet United Methodist Church 310 E. Chestnut Street, Coatesville, PA 19320. To send flowers or a remembrance gift to the family of Charles Wright, Jr., please visit our Tribute Store. "Email Address" would like to share the life celebration of Charles Wright, Jr.. Click on the "link" to go to share a favorite memory or leave a condolence message for the family.